All That's Fancy - The Black, White & Gray! Stripes & minimal have always gone hand-in-hand! 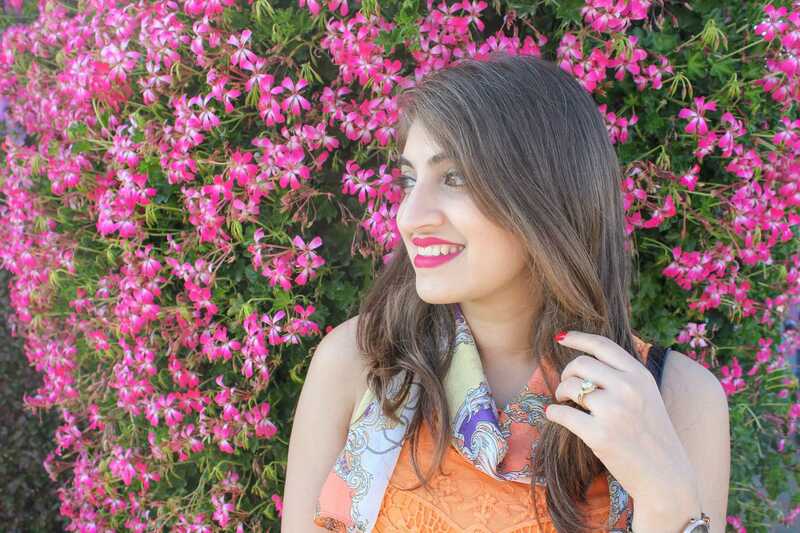 Hello lovelies, here is a new blog post. As I always say, I like to keep my outfits simple yet trendy. Therefore the outfit & I am going to keep this story short & sweet so you guys can enjoy seeing the pictures. 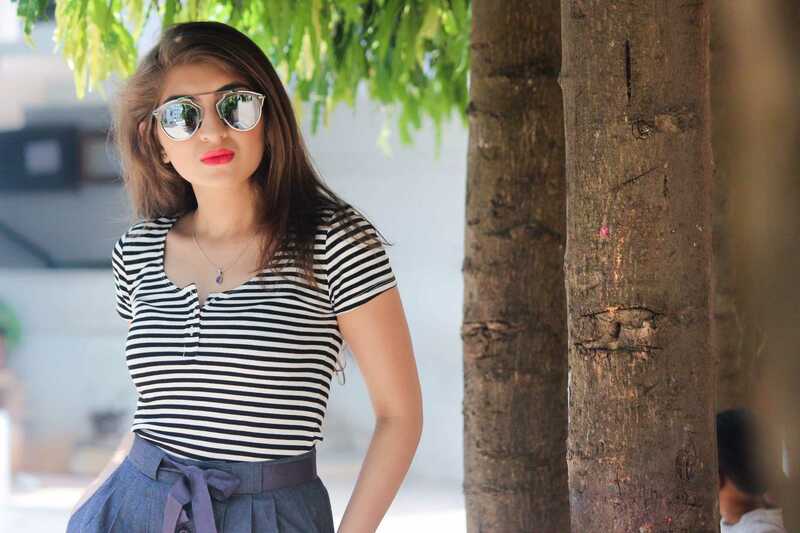 My striped basic Tee is from Aero, I have paired it up with a gray skirt that I got from Jabong on Jabong.com I love wearing midi dresses & skirts as it is an inspiration from the Vintage fashion. I like the button down detailing of this skirt & the denim look, oh and the belt comes with it. Also, I loved the fit of the top so much so I got myself another one in a plain green as well. I am wearing super comfortable wedges, got these from shopper's stop. If you went through my previous, you would know where I got these matrix shaped shades from, none the less, I got these from Fancy Pants, an online store. Love these reflectors. The lipstick I have applied is the shade 'Bold' from Faces. I do not have a complete picture of the sling bag, but I will definitely share it with you guys on my upcoming posts so stay tuned for more.